Packet containing approx 800 seeds, suitable for sowing directly outdoors. Clarkia amoena (hardy annual) - showy semi-double blooms in shades of red and pink are produced in abundance, these godetias are guaranteed to brighten any garden. Ideal to sow in bare border patches! 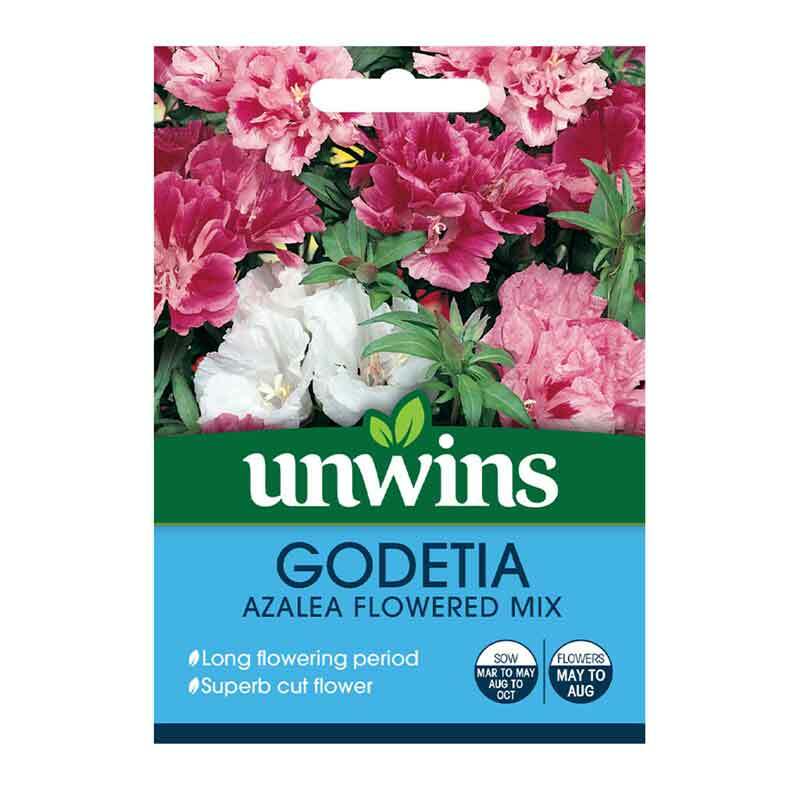 If you would like further information about Unwins 'Azalea Flowered Mix' Godetia Seeds, please contact our garden centre at Shawbury just outside Shrewsbury in Shropshire, by calling 01939 251315 or emailing.